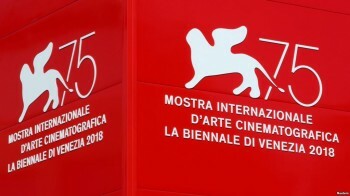 The 2018 Venice Film Festival is over. What were some of the highlights? 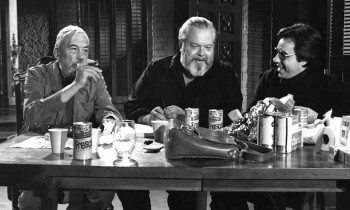 The most-written-about debut films undoubtedly were Orson Welles' hitherto unseen The Other Side of the Wind, notably missing from Cannes; Alfonso Cuarón's Roma, and Yougos Lanthimos' third English-language film in a row, The Favourite. All three are included in the NYFF and the London Film Festival, and I may get to report on them soon. Anyway, we'll all get a chance to see them before too long, but Venice got the first official look at each. Peter Bradshaw of the Guardian gave Other Side 4/5 stars and wrote: "Edited for release 50 years after it was shot, this autobiographical satire is just as wild, dated and brilliant as you’d expect." Watch the trailer: here. Bradshaw says this story of a failing film production has crackling wit but alternates with periods of tedium so he sometimes felt he 'was watching the 100-hour version.' Worth it, though. John Huston plays the director. Netflix releases it (that was the issue with Cannes) and it comes out 2 November. Bradshaw can be more wholeheartedly enthusiastic about Cuarón's Roma, which in his Guardian review he calls an "exquisite study of class and domestic crisis in 70s Mexico City" and "his best film yet" and gives the rare rating of 5/5 stars. Cuaron's Y Tu Mamá También was a smash at Venice in 2001, he points out; and so was his Gravity in 2013. As you may know it's a family portrait set in Mexico City in 1971 and told from the POV of the maid, a woman of Mexteco origins from the country. The B&W film mixes the homely with the spectacular, with images of the city's growing sprawl and an evocation of the Corpus Christi massacre, "when around 120 people were killed by the military during a student demonstration," Bradshaw explains. Telluride, Toronto, NYFF and LFF, but you have to wait till 14 December for its US theatrical release. A huge change of pace for this set and for Lanthimos, this costume comedy features Olivia Colman "as Britain’s needy and emotionally wounded Queen Anne in this bizarre black comedy of the 18th-century court," Bradshaw reports in his 4/5 star Guardian review. The film features Rachel Weisz and Emma Stone as two aristocratic cousins madly competing for the Queen's favors, with Stone doing a "very good Brit accent." The "cheerfully obscene" original script is by Deborah Davis and Tony McNamara. This is "loosely based on the true story of Sarah, Duchess of Marlborough, competing with her cousin Abigai." The feel is of Restoration comedy, and the mise-en-scene has "wigs, clavichords and long corridors to storm down." Also NYFF, San Diego, and London, US release Thanksgiving weekend (23 November). Bradshaw also reviewsand rates 4/5 stars Damien Chazelle's "dramatically conservative" (i.e. conventional) Neil Armstrong movie First Man starring Ryan Gosling about the Moon landing. There was also the Coen brothers' The Ballad of Buster Scruggs, Mike Leigh's Peterloo, Paul Greenglass' 22 July, about the Norway massacre, Luca Guadgnino's Sospiria, his Dario Argento horror remake (an odd follow-up the Call Me by Your Name, you'd think); the Son of Saul director László Nemes’ Sunset, and more. Several French directors chose to premiere their new movies at Venice: Olivier Assayas, who re-teamed with Juliette Binoche for Double Vies, and Jacques Audiard's English-language debut and Western dark comedy The Sister Brothers. Last edited by Chris Knipp; 08-31-2018 at 12:57 PM.